Vine and Branch Furniture of Carmel, IN, is the featured cover story of the December/January issue of Hamilton County Business. Vine and Branch Furniture represents the latest evolution of Vine and Branch, a tree service established in 1976. The company is led by Jud Scott, a registered consulting arborist with the American Society of Consulting Arborists. Learn more about the company at vineandbranchfurniture.com. Forest2Market recently posted an interesting article worth a read by all managers of urban wood, landfills and biomass operations. 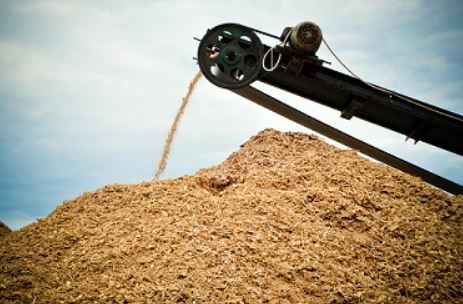 “Urban Wood Waste: Are You Overlooking a Viable Feedstock?” delves into the potential economic benefits of burning urban wood waste to create power or heat instead of landfilling. An end-market consumer with feedstock demand requirements. Read the full article at Forest2Market. Last month we posted a press release from the Habitat for Humanity Wisconsin’s Rescued Wood Program. It discussed the organization’s partnership with the City of West Bend, WI, in which city trees removed because of infestation by the emerald ash borer or other reason are sent to a local sawmill operated by Habitat for Humanity. Lumber milled from these trees is either being used in homes constructed by Habitat or sold at its Restore operation. 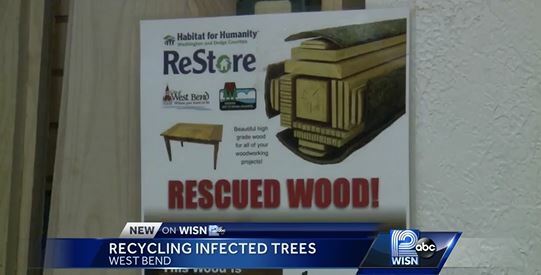 More recently, WISN of Milwaukee, an ABC affiliate, ran a report on the Rescued Wood Program. Here’s a link to the 2-minute feature: http://www.msn.com/en-us/news/good-news/infected-trees-recycled-into-wood-for-homes/vp-AAmH5E2. Video: Be a Smart Ash, Denver! Be A Smart Ash: Reuse your urban tree, Denver! That’s the title of a new video produced by the Denver Department of Parks & Recreation. The video highlights a variety of local sawyers and woodworkers who are keeping trees felled because of infestation by the emerald ash borer out of landfills.